The electricity system of the Western U.S.—comprising 38 balkanized balancing area authorities (BAAs) responsible for market clearing, planning, and procurement—stands at a pivotal moment. A fully integrated Western ISO has long been a dream that would plan for and dispatch a more optimal mix of the region’s diverse and complementary resources: hydropower in the Pacific Northwest, nightly wind resources in Wyoming, and mid-day desert sun in the American Southwest. Dispatched together, these resources can meet the load of growing Western cities at least cost while lowering coincident peaks of each BAA, a value proposition exceeding more than $2.8B dollars annually to California ratepayers alone. Based on record-setting solar awards in Nevada and Arizona, solar is likely to supply the majority of economic generation in the southwest, outcompeting natural gas regardless of RPS need. Grid parity makes policies to improve solar integration more urgent. Ballot initiatives, legislation, and other policy decisions tee’d up for the second half of this year will significantly impact whether the Western Electricity Coordinating Council (WECC), which oversees the reliability of the electricity grid for the western third of the country, can capture this value and evolve to manage the increasing need for renewable orchestration at scale. The California solar market is the most advanced in the nation, accounting for nearly half of all contracted supply in the U.S. California is leading the country in dealing with grid integation issues and reliability impacts. The success of the market has outpaced regional grid integration, leading to curtailment of 200 GWh YTD of wind and solar in the California ISO (CAISO). This is creating increased need for flexible ramping resources; a transient need until storage costs reach a level where they can replace gas peakers. New gas peakers are already dead-on-arrival, from a permitting perspective, in the state. The Western EIM has grown in kind. From its start in 2014 as an effort to balance generation between CAISO and Pacific Corp in Northern California and Oregon, the EIM has grown to 14 entities representing >55% of WECC load. The EIM allows participants to procure low-cost oversupply (imbalance) in real time, displacing more costly fossil-based resources. While each entity receives clearance from FERC to participate, EIM members have elected to join and retain procurement and planning authority, leaving further efficiencies (lower coincident peaks) on the table. Last year CAISO proposed to expand the EIM to include a day-ahead market, effectively an RTO-lite, pending a vote from the EIM governance board. EIM board members are likely to pass based on the additional benefits that would fall to members, but their decision is likely to be influenced by what occurs in the California legislature this September. The EIM has saved members $310M in avoided generation and flexible reservices, but it is utlimately a stopgap measure in the absence of a more fully integrated RTO that would coordinate transmission and generation planning, and remove wheeling fees. That vision depends on action in Sacramento. As he departs office, Governor Brown is pushing for a regionalization bill (AB 813, Holden) that would remove future gubernatorial authority to appoint CAISO governors—a lynchpin to convincing regulators in WY, AZ, and UT to join. CAISO is separately moving to operate its market in-house, canceling its contract with Peak Reliability which manages PJM and also is offering a competing market operation proposal for the WECC ISO. Whoever operates the market, the first step is to create an independent board through legislation. While the bill passed a key judiciary committee vote on June 26, AB 813 continues to face headwinds from labor groups that successfully lobbied for recent amendments that would disqualify increased imports from the WECC to meet California’s RPS, which is likely to increase to 60% by 2030 toward a 100% goal via SB 100. In addition, environmentalists have opposed AB 813 out of the misplaced concern that CAISO would effectively surrender governance to the Trump administration, resulting in increased coal imports from Western regions. In fact, the bill adds no new powers to FERC (which already oversees the CAISO), and a regional WECC ISO has greater potential to accelerate coal retirements by making their operation more uneconomic relative to lower cost solar power. 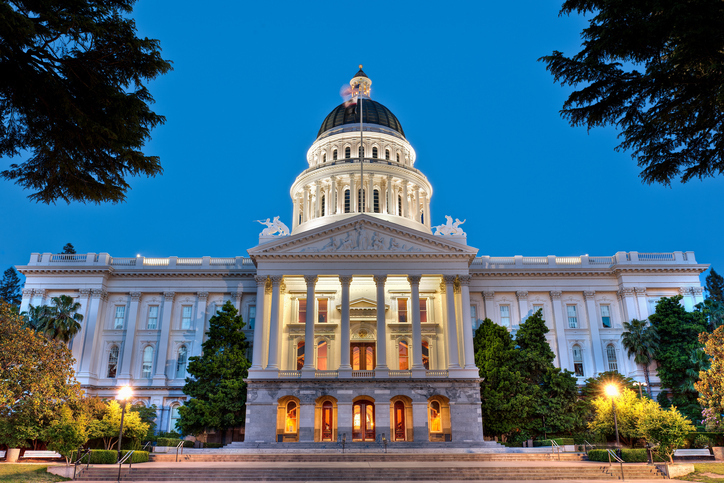 Nevertheless, even if AB 813 passes both chambers with the damaging amendments removed, CAISO expansion would face enhanced scrutiny at FERC with a Trump administration that is looking for a bargaining chip as it fights California’s vehice standards. In Nevada, as part of its awakening to customer demands (motivated by loss of millions in revenue from continued corporate load defections), Nevada Energy awarded 1,001 MW of PV and 100 MW of storage capacity to six projects June 1, but held five awards hostage to the failure of question 3, the Energy Choice Initiative. While ECI passed with a wide margin in 2016, it is currently polling as a toss-up, as Berkshire Hathaway and labor ramp up the battle against Switch and major casinos that have spearheaded the initiative. If it passes, the Nevada legislature will have only five years to create a fully competitive wholesale and retail choice market, throwing the market into disarray in the near term. In the longer term, if ECI passes, NV will likely join the CAISO, creating a more-fragmented option to the more fully integrated Western ISO. In parallel, NV voters will choose whether to expand the state’s RPS. If both pass, which is slightly more likely than one or the other measure failing due to NV’s recently energized solar choice constituency, both CA and NV legislatures will have their work cut out to better integrate their systems, especially if the CA AB 813 fails. Despite Arizona Public Service’s and Governor Ducey’s best efforts to limit the impact of the RPS ballot initiative (which has until July 5 to gather enough signatures) by passing HB 2005, the AZ Commerce Commission is likely to issue rules in 2Q19 to create a clean renewable energy standard (CREST) mandating procurement of renewables (and nuclear) to 80% by 2050, and a clean peak storage target of 3 GW by 2030. While CA beat AZ to the punch to set a clean peak, the AZ measure is more aggressive and prescriptive. The Commission will establish a baseline of current renewable energy deliveries during peak hours and increase the mandate by 1.5% per year thereafter. While APS is antagonistic to the prospect of CA oversupply, the ACC’s moratorium on gas plants over 150 MW and rejection of APS’s 2017 IRP may force it to increase its imports of low-cost solar at the expense of equity on gas plants it would otherwise earn. In a conservative-led ACC, it is refreshing to see the Commission’s focus on risk management (limiting exposure to natural gas price volatility) as a key motivator for the effort. The likely success of CREST will open new avenues for future integration as renewable supplies increase. Based on a recent study comparing the benefits of different RTO options, Public Service Company of New Mexico (PNM) is likely to join the Western EIM imminently, the farthest eastern outpost for the market. Xcel’s Public Service Company of Colorado (PSCO) was the anchor to the Mountain West Transmission Group, a competing effort to the EIM to form a parallel balancing authority with the Southwest Power Pool comprising 16 LSEs in the Mountain West. MWTG is now unlikely after PSCO’s decision to exit out of concern over transmission services revenue recovery risk at the state commission. PSCO’s comments regarding the benefit of more Western expansion suggest the door may be to future integration to access improved solar resources in the southwest, to match their robust supply of low-cost wind. However, PSCO lacks a physical tie to the EIM, favoring the creation of a Western RTO with a joint transmission tariff. A more fully integrated Western market thus depends not only on orchestrating the best, least-cost energy resources the West has to offer, but also on balancing state sovereignty against the efficiencies of a centralized market. The benefits of this integration are clear: avoided curtailment of low-cost solar energy that could be utilized more productively (say, pre-cooling millions of homes in Phoenix, or matching Gigafactory production in Reno to peak solar) and avoided need for flexible ramping resources results in considerable value that is otherwise lost. As more uneconomic coal and nuclear plants retire, ratepayers stand to benefit from improved coordinating and balance. The chess pieces of a western RTO are beginning to align.